You searched for which does not fit your . We've redirected you to 105-370, which has the proper fitment. 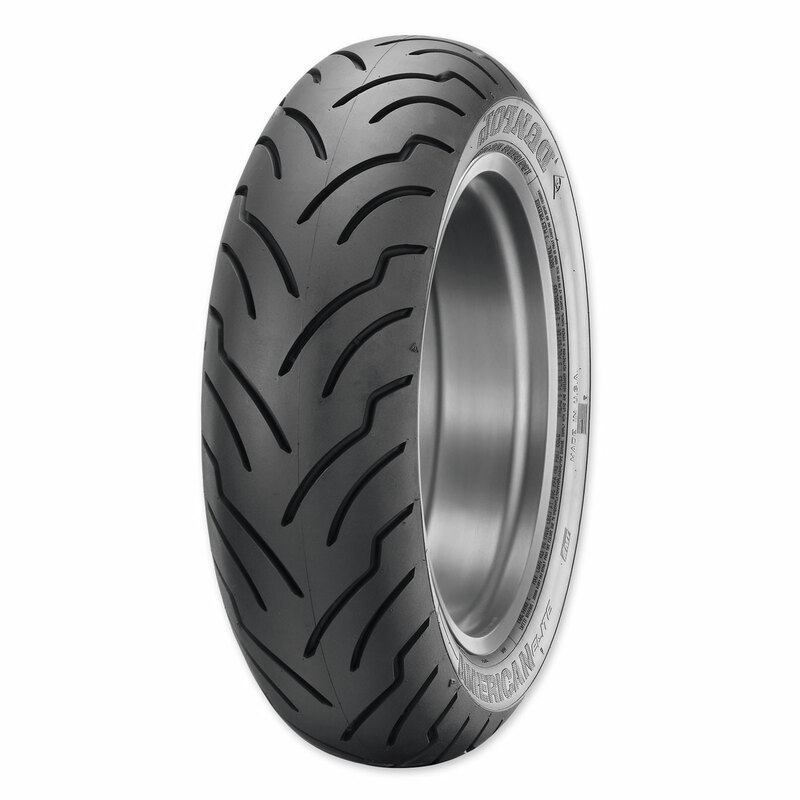 • All American Elite motorcycle tires by Dunlop are designed, tested and manufactured in the U.S.A. I like the design of the tread. Looks like it won't get the heal-toe wear that the OEM tire does from the torque. Because I like to get on the throttle. Much better than the stock 402's on my '93 Ultra Classic. Last about twice as long. Hardly affected by grooved pavement and tar stripes, even in the rain.